Hello all! I hope each and every one of you had a wonderful Christmas!! I can't believe that all my shopping, wrapping and getting ready for the big day has come and gone so quickly- it's kinda sad. A lovely spread full of yummy food and lots of bubbly! 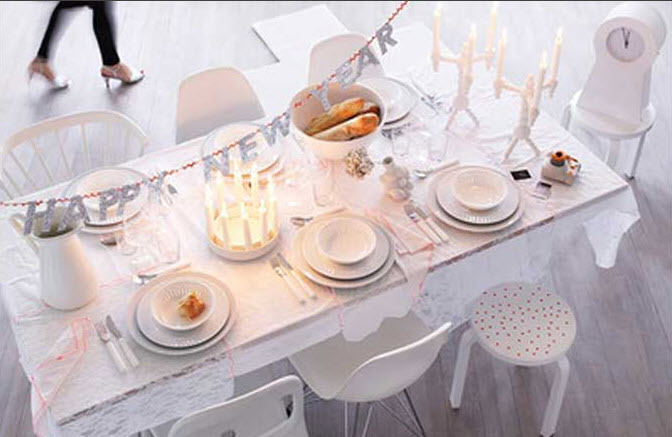 Basic white dishes with a simple silver New Year's banner make a simple yet beautiful display! 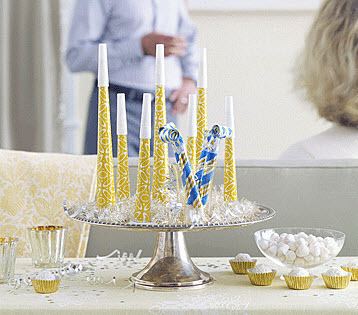 This year the fiance and I are hanging at home with lots of bubbly and Ryan Seacrest of course, but I might just decorate our place with a few of these easy ideas to get in the festive mood! Thanks for sharing these great ideas! HAPPY NEW YEAR! Just got caught up on all of your DIY projects. My, you have been a busy little bee. I love all that you've done and I can't wait to see more of your bedroom. The bright orange is fab!! I love the noisemaker display! 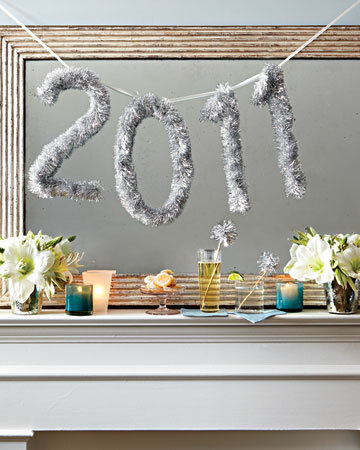 We are going out for New Year's this year, but I will have to remember the ideas with the garland, love that. We're going out for New Year's this year, and I hope where we're going uses tips like these. I love the first pix from Martha Stewart. Such a fun idea! I love them all! Great ideas. Now I just need to throw a party! SO FAB! thanks for sharing! Sparklers stuck in a vase of black eyed peas .... LOVE. What a fantastic idea! Just found your lovely blog! So happy I did. Love these ideas for NYE! 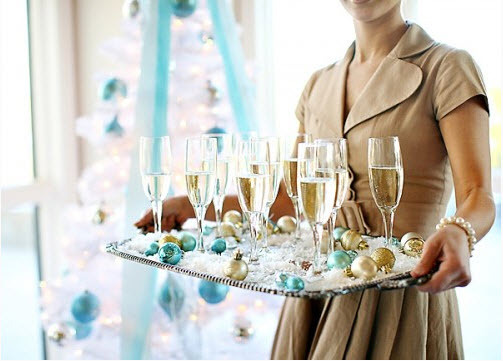 This decorated tray with champagne looks just sooo inviting! I really like this idea. 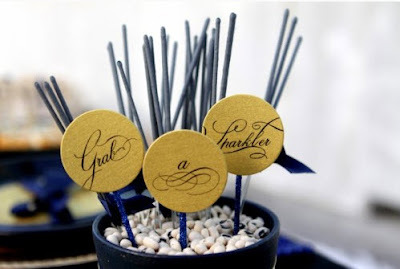 love love that garland idea!! Love that blue room set up! 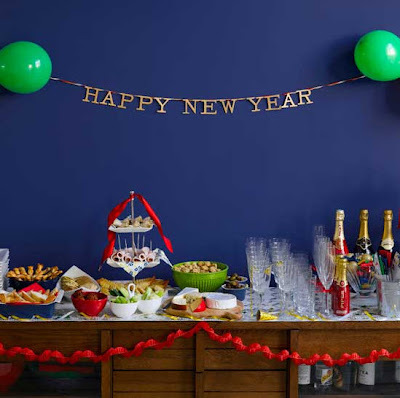 I'm loving all of the NYE inspiration! I'm a new follower - found you on BonBon Rose Girls - and look forward to reading more! Love the ornaments on the tray! It makes me sad that Christmas ornaments are so under used. Thinking about putting some on a cake stand and letting them have their due for a few more weeks. I love all these ideas. Happy New Year!